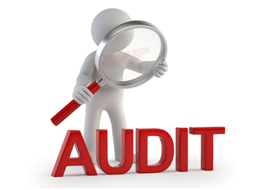 We are pleased and proud to announce that for the sixth year in a row we have passed the external audits for ISO:9001 Quality Management System, ISO 14001: Environmental Management System and Security Industry Authority: Approved Contractor Scheme (ACS) without any major or minor non-conformances. In addition we have once again increased our score under the ACS system to 98, meaning that we are rated within the top 8% of security companies within the sector. Following a request from one our clients we were pleased to make a contribution to be used as a raffle prize for an event to support the son of one of their employees. The event was held to raise funds for ‘James’s Dreams’ and the funds generated will be going towards an operation which James needs due to Cerebral Palsy. His operation will give him a chance to take steps without aid and the cost of this operation is £40,000. So far they have raised £18,032.60 and are 45% towards their target of £40,000. Below is a link which directs you to their just giving page. We are sure that any contributions would be gratefully appreciated. Integrity has again been appointed to provide the Control Room function and mobile patrol services to the third incarnation of the Albion Business Improvement District (BID). The first BID in the UK to achieve a third five year term it has been renamed BID Sandwell to reflect the larger geographical area, and hundreds more businesses, that it now covers. For this third term, and reflecting the service that Integrity has provided, we have now been instructed to supply and maintain all of the CCTV equipment in addition to manned and patrol services. Following on from the new assignment last month in Gloucester we were quickly instructed by SSIFM to provide services to Oak House in Watford. This contract required us to mobilise extremely rapidly including the recruitment and training of new staff as the positions were new without any transferring staff. Once again we demonstrated our willingness and ability to ‘pull a rabbit out of the hat’. 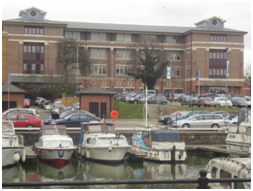 The Company has started a new contract to supply security guarding at Southgate House in Gloucester close to the Gloucester Docks area. This is the first instruction from a new client, SSIFM, in what we hope will be followed by further opportunities. 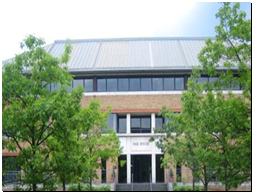 Southgate House is a recently refurbished four storey office building and in addition to guarding we will shortly be looking at the CCTV and access control facilities also. Hortons’ Estate Ltd, continuing their policy of purchasing and developing properties, had a requirement for Integrity to provide security guarding to Old Dalby Business Park. We responded to the request at very short notice when the ‘deal was done’. Our quick response was further required when the incumbent supplier withdrew their service without adhering to the notice period. We are pleased to announce that we quickly took action to ensure that the security of the site was not compromised. Continuing the relationship with the Company’s oldest customer we have been appointed by Horton’s Estate Ltd to provide security services to their latest property acquisition in Lichfield. 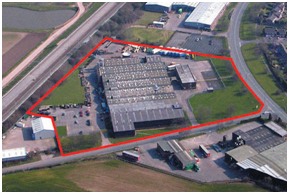 The site has been purchased by our client with a view to future development, an activity for which Hortons’ Estate Ltd has enjoyed considerable recent success. 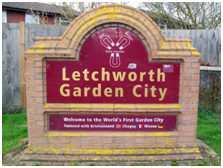 Letchworth Garden City Heritage Foundation have instructed the Company to both upgrade existing CCTV systems and to provide and install additional equipment as they begin a programme of review and improvement across their property portfolio. 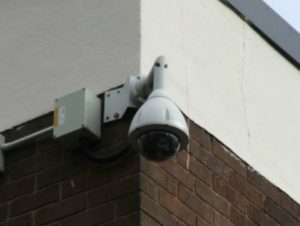 In addition to CCTV services we also provide security guarding, fire alarm and intruder alarm services to many properties in Letchworth. In December we finished work on one of our largest CCTV projects to date. We were appointed by Capita Plc on behalf of Royal London Mutual Insurance Society, who own the site as part of their pension fund portfolio, to upgrade the security of Tinsley Industrial Estate in Sheffield. 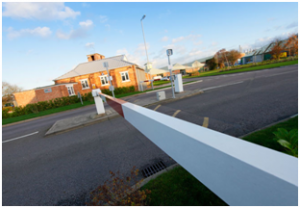 This major project included the provision of new security gates, access control and a high-specification monitored CCTV system. 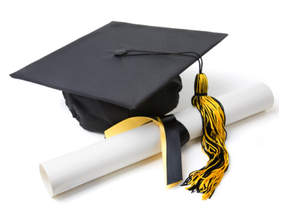 In addition to our certification for both Safe Contractor and CHAS the Company decided to upskill all of it’s Supervisors, Managers and Directors by enrolling them on a course to obtain The Institution of Occupational Safety and Health (IOSH) Safety for Senior Executives qualification. This was part of the Company’s continuing focus on Health and Safety and a determination to instil good practice and awareness at all levels. Needless to say all staff passed with flying colours!